My Dad’s original barbecue sauce is called Reserve because like a fine wine it’s exceptional and deserves that distinction. 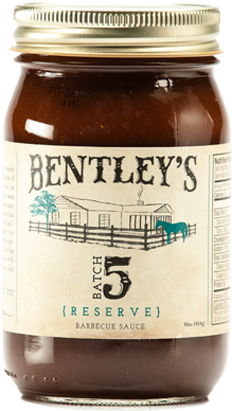 He taught me how to make it over 40 years ago and it’s not a normal tomato based barbecue sauce; instead it’s Worcestershire based with a bold zesty flavor that’s tangy and rich. It’s also unique because it’s full of bits of tomato, onions and peppers that heighten its flavor and texture.